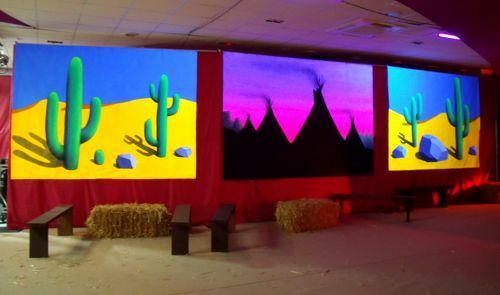 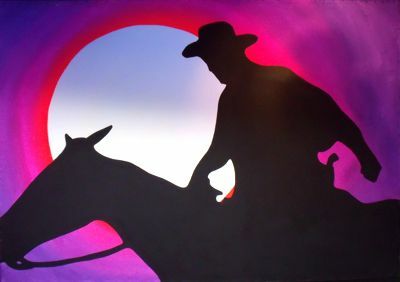 Wild West theme consists of sets of medium weight cotton canvas backdrops, which can be fitted together to make a continual scene. 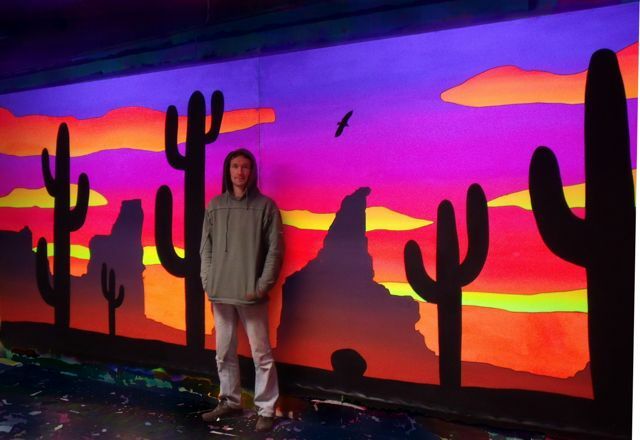 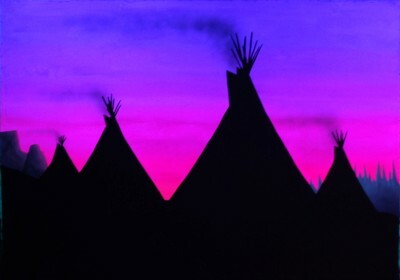 They are all painted using UV fluorescent paint. 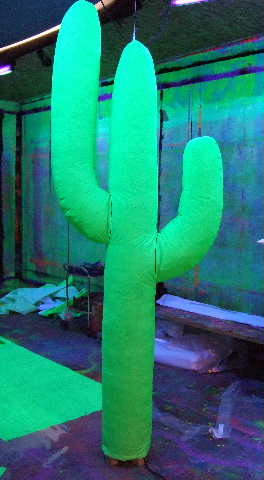 They are hemmed and have metal eyelets along the top for easy hanging. 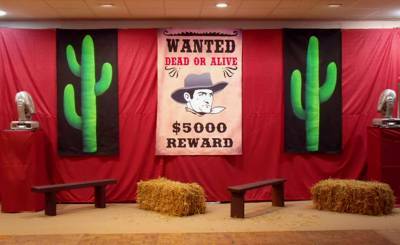 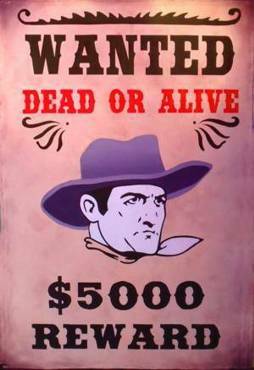 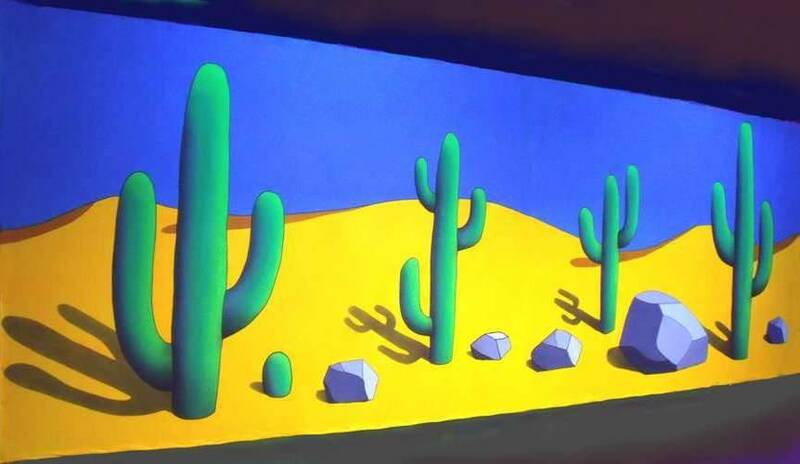 Props consist 3D Inflatable Cactus's and there is a Saloon sign suitable for above a bar and a 'Wanted' poster. 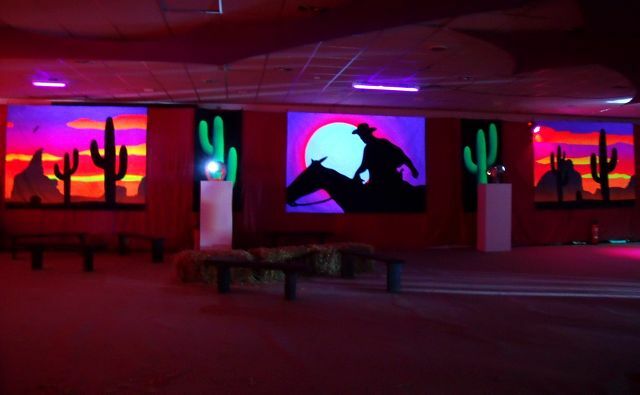 Our Event Installation Team can transform your venue for you, with Silk Lining around walls and picture panels infront complete with UV and ambient lighting and overhead Stretch Fabric - see Event Decorating Services; and with our 'Pipe N Drape' free standing frame system there is not contact or damage to the walls - ideal for hotel function rooms and grand venues.